I just recently got a vehicle from here! The salesman, Bobby, was amazing! He did everything he could to get my family into the ride we wanted, and Chris himself even helped us with a snag that came up after. This place is AWESOME!!! This is where my husband and I will do our business from here on out. 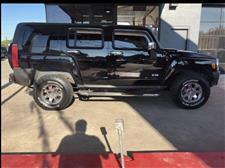 Proud to be a part of the Chris Pruitt Car Family!!! Amazing group of people here!!! 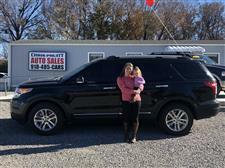 I just bought a new Ford Explorer from Chris Pruitt, I worked with Aaron! He was awesome! Done everything he could to make sure I was comfortable with the purchase and answered any questions I had! Such a great car buying experience! Better than any dealership experience I have had! Thank you so much Aaron! And thank you Chris Pruitt! Now my family has a lot of room!  "I bought my Terrain from them last month and they were awesome.. They worked with me in my needs and made sure I was taken care and got what I wanted. I look forward to buying from them again in the future!" 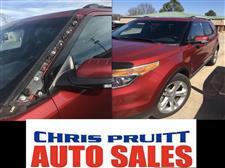 On Friday, June 1st, I drove to Tahlequah Oklahoma to Chris Pruitt Auto Sales. I was there to look at a truck. During the test drive Eric, one of the two sales reps there, and I were able to learn a little about each others history. 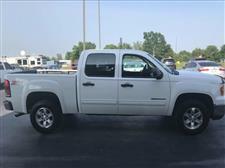 Upon returning to the office I had to place a call to my lender to let them know I'd like to purchase the truck, however, there were problems on my end and Eric spoke with my lender and cleared things up by giving more for my trade and not increasing numbers to make up for the difference. Needless to say, I was surprised plus, it was the first time I was able to sit and listen to the whole process, start to finish, without someone running to and from the finance person and coming back to let you know what they can do for you. Nothing was hidden and they even gave more than what was initially agreed upon just to make this happen. If you think that is great, this morning I needed to send funds to my lender, due to complications, I was not able to do so. So I called Eric and told him what was going on and due to the situation I'd have to bring the truck back and he understood! It wasn't 15 minutes and Eric called saying that he had spoken with the GM, they again helped me and made sure that everything went through with my lender. 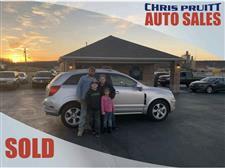 It's very rare today to walk away from an auto dealership feeling like you were able to get the best deal possible, however, I was able to drive away knowing I received a great deal due to Eric's help and Chris Pruitt Auto. I was much more than a customer, or a number, but more like a family member that needed help and they were willing to do just that. 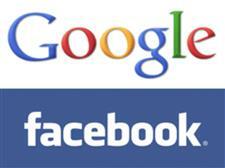 I can't thank them enough for their assistance, however, I can highly recommend that you experience it for yourself. 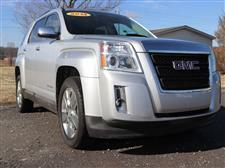 Chris Pruitt Auto Sales offers one of a kind customer treatment, better than any I've previously experienced. Drive away with a vehicle and a smile knowing you received the best care around. 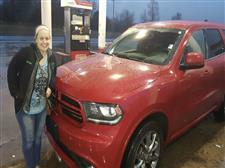 Shout out to Chris Pruitt Auto Sales Tahlequah. They fixed the panel on my vehicle. Go see Eric and if you need a vehicle tell them I sent you! This was my first hassle free buying experience. They have a very friendly staff. Thanks to the guys that work here! They have great service and I would recommend them to anyone. I love my new car!! These guys are the best. No hassle, willing to work with you. Best car buying experience ever! I don't know if I will get approved at all for a vehicle. But in the seven or eight lots I have tried, Andy is the only one who has stayed in contact with me and tried for two days to get me approved. I have no credit and little money down. And he has still tried! For days! I hope it somehow works out so I can do business with him! I will never go anywhere else. Someone treats you like that, you stay!